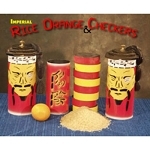 Produce and vanish silks and other small items in your hand! 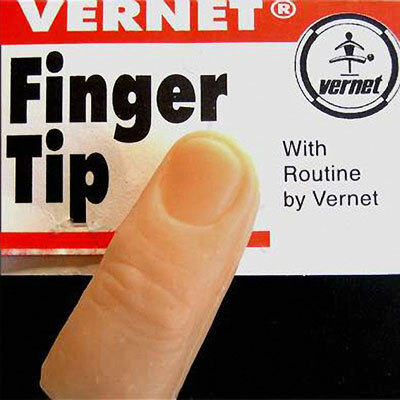 This is a quality Vernet fingertip that can be used as a fingertip by adults. 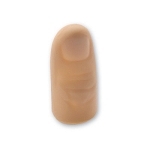 It can also be used as a small size Thumb Tip for children or adults with small hands. 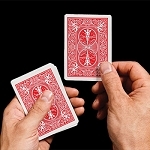 Deceptive digits, or false fingertips, are the one "must have" gimmick for every magician! 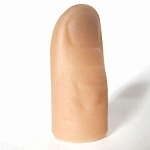 A fake finger is the most popular and most used device in magic. 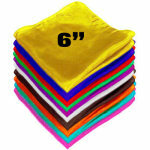 Use it to vanish silks, confetti, glitter, salt- even water- in your bare hand. Of course, you can use it to produce items as well. Vanish some salt, show your hand empty, then pour the salt out of your bare hand! Keep one of these in every pocket- you'll be using it often! 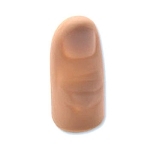 This can be used either as a Thumb Tip on small hands, or as a Finger Tip on regular adult hands. 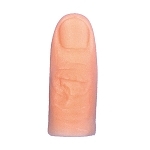 If you use it as a finger tip, you will use a different "move"- see the demo video above for an explanation of the finger tip move. 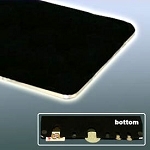 Since this tip comes with basic instructions only, you'll get a lot more out of it if you also purchase a book or DVD on Thumb Tips (see the book and DVD listed below). 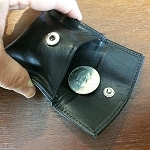 Circumference of the tip is 2.5" around the base. 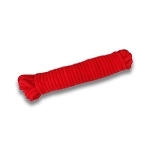 You supply any items to be produced or vanished. 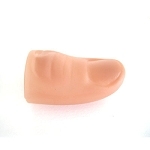 For more detailed instructions, tricks and routines, please see the THUMB TIP Book or DVD available below. 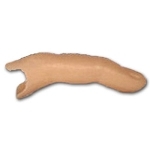 Circumference of the tip is about 2.5" around the base. Q: Any good how to video's for using the finger tip to disappear the silk? 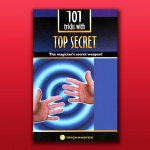 A: Yes- we carry 30 TRICKS AND TIPS WITH A THUMB TIP DVD.